Climate Change could catalyze the need for Australia to double its fire fighting force by 2030. But climate change’s global impacts could also unravel international mutual aid agreements used in the continent’s current response operations. Australia is coming off of its warmest documented year on record, and the climate-vulnerable continent needs more firefighters. As referenced in a landmark report from the Climate Council of Australia, the nation’s firefighting force must double to 22,000 personnel by 2030 to combat a projected upsurge in dangerous brushfires. But the threat of climate change is working in parallel–something which could enhance fire risk and even potentially unravel international mutual aid agreements. According to the report, climate change is a literally fanning the flames of the rampant brushfire threat. “Fire weather”—hot, dry, windy conditions conducive to rapid fire spread—is getting worse. Hot days have become even hotter, parts of the country are markedly drier, and heat waves are occurring longer and for greater periods of time. In fact, 2013 may well end up being Australia’s warmest calendar year on record. The nation’s “fire seasons” are getting longer too—pushing the current general boundaries of March through October. These risks are coupled with the fact that development continues to increase in high-hazard areas. The potential costs long-term costs are staggering. Without strong climate change adaptation strategies, Victoria’s agricultural sector alone may endure $46 million in additional annual fire damage. And international headlines depicting scenes similar to the extraordinary fires that menaced Sydney this past October are likely to become more common. In recent weeks, brushfires have also surged in South Victoria to the east of Adelaide, as well as in Victoria near Grampians. Climate adaptation is key. Beyond adaptation strategies that include planning, regulations, and controlled burns, building a robust response force is crucial—and the number of firefighters must at least double by 2030 to combat the increasing threat. But, as a separate report drafted by Australia’s National Institute of Economic and Industry Research suggests, this will not be a simple matter of merely staffing up. Paid and volunteer firefighters will need increased levels of training. Longer, more grueling brushfire seasons will take its toll. Urban sprawl will continue to intrude into climate-exacerbated hot zones, making the demands to protect life and property daunting and stressful. Economic pressures may make it less feasible for business to let volunteer fighters deploy for long durations. 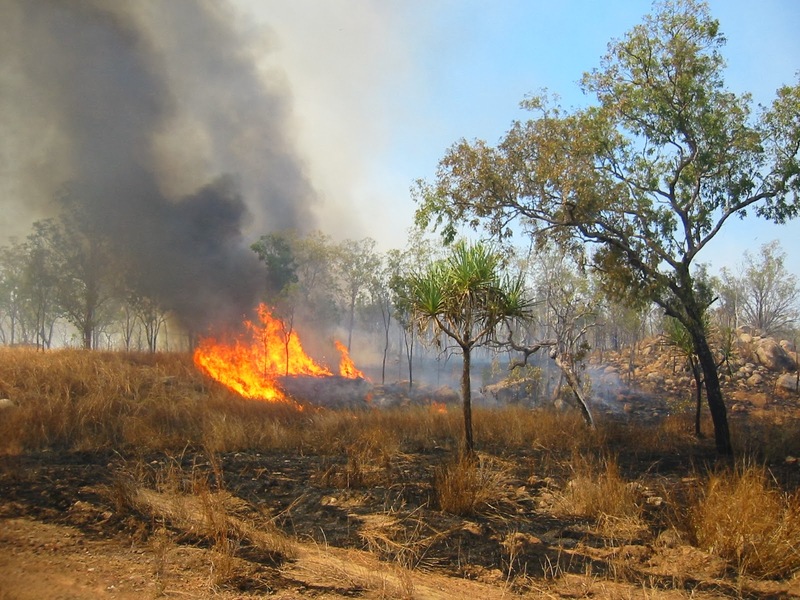 Equipment is also an issue, as climate change is simultaneously lengthening fire seasons in Northern Hemisphere countries that loan Australia equipment during their fire off-seasons. These international “mutual aid” firefighting agreements could unravel if crucial equipment is needed at home more often. And, as the report questions, what would happen to national capabilities if large numbers firefighters are forced to simultaneously confront a land falling cyclone? In 2011, Cyclone Yasi achieved a Category 5 status on the Australian hurricane scale before making landfall in Queensland a major storm that inflicted over $3 billion in damage. 2011 was also the same year in which an extreme La Nina brought flooding rains so torrential that it formed an inland sea the size of France and Germany—an astounding event that may have impounded enough water from the global system to temporarily slow sea level rise. In such extreme events, firefighters are frequently the first responders who conduct urban search and rescue as well as swiftwater operations. Sufficient to say, the job description of an Australian fire fighter has more than a few weather and climate threats in it. In the end, if funding and institutional support does allow for a doubling of the Australian firefighting force by 2030, these responders are likely to face a spectrum of unprecedented challenges. By Caitlin Werrell and Francesco Femia in climate and security on January 28, 2014 . Mehmet Burk: “Climate adaptation is key.” This is – so , but – as long as there is enough resources for adaptation and rehabilitation of infrastructure . I did not work on climate stabilization technology in the Southern Hemisphere ; technology developed only for the North Atlantic and Asia-Pacific regions. Technologies allow us to establish – for example, for the North Atlantic region – climatic parameters corresponding to any point in time in the past, then the implementation of technology stops. Next – climate change is repeated until it again becomes necessary to stabilize the climate parameters . The best option (IMHO) : climatic parameters are set at the beginning of the XVIII century , when Europe ended the Little Ice Age , and the same thing happened in North America. Made will be enough for you to forget about the risks – at least – for 250 years , eliminating them and preventing the negative effects of climate change.